Bonus PointsBalance Transfer Receive 50,000 Bonus Qantas Points and 0% on balance transfers for 6 months. Apply by 22 May 2019. Offer applies when you spend at least $2,000 on eligible purchases within 90 days of card approval. Balance transfer must be requested at card application. The St.George Amplify Platinum (Amplify Qantas) credit card comes with a moderately high interest rate, a moderate interest-free period and a moderate annual fee. The minimum credit limit is also moderate. Customers can earn Qantas Points for eligible purchases as part of the Qantas Frequent Flyer program. Points can be redeemed for flight discounts and upgrades with Qantas and their partner airlines, as well as other rewards. Points can also be earned twice on eligible purchases made with Qantas Frequent Flyer partners – once with the card and once with the program partner. There are various complimentary insurances that come with the St.George Amplify Platinum (Amplify Qantas) card, including travel insurance and extended warranty insurance (conditions apply). One additional cardholder (aged 16 years and over) is also allowed at no extra cost. 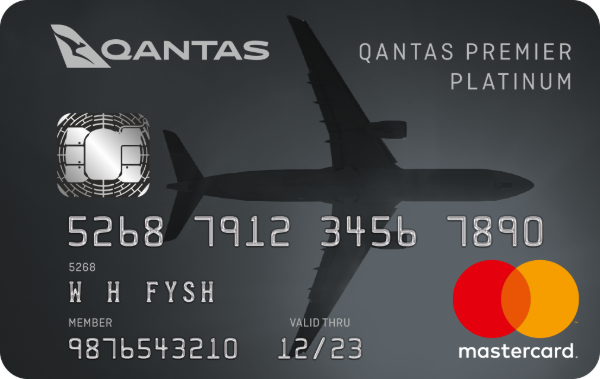 This card might best suit current Qantas Frequent Flyer members (or partner airline members) who regularly make purchases on their credit card and travel frequently. For these customers, the St.George Amplify Platinum (Amplify Qantas) card offers the potential to save money on flights and travel insurance. However, it’s not the best option for overseas spending as it comes with international transaction fees and charges. Couples and other people wishing to share a credit card would also benefit from this card’s allowance for a supplementary card at no added cost. Transferred balances are subject to the cash advance rate immediately on this card, so it doesn’t seem like the best choice for people with existing debt. Likewise, it has a moderately high interest rate, so it may not be suitable for people who aren’t able to pay their card’s balance each month. The St.George Amplify Platinum (Amplify Qantas) card is geared towards high-spending frequent travellers, and for those customers, it offers several benefits such as the ability to earn double points for certain purchases and take advantage of complimentary travel insurance. The allowance for an additional cardholder also means points can potentially be earned faster with two people spending on the one account. Additionally, the complimentary extended warranty insurance is nice to have for peace of mind about bigger purchases like electronics. However, this card offers few advantages for people wanting to cut down on costs as it doesn’t come with a balance transfer deal and has a moderately high interest rate. With this in mind, it may be worth shopping around further for a lower-rate card if you’re on a tight budget. 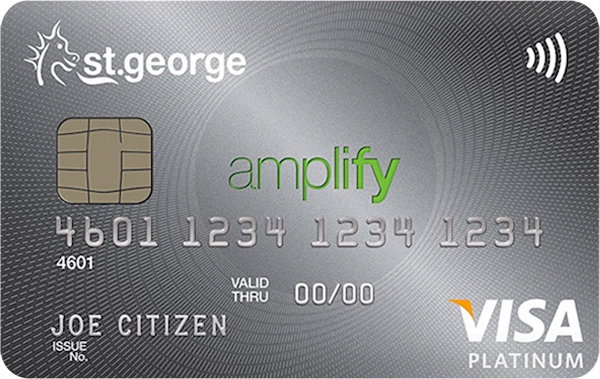 To be eligible for the St.George Amplify Platinum (Amplify Qantas) card, you must be at least 18 years old and an Australian permanent resident or citizen. When you apply, you will need to provide proof of ID, proof of income and employment (such as bank statements and payslips) and information about any financial commitments you have. Applications can be completed at the St.George website or in-branch, and you should receive a response on the spot. St.George Bank was established in 1937 and in 2008 became part of the Westpac Group. The majority of the bank’s customer base is in New South Wales and South Australia (via its subsidiary, BankSA). The bank provides a range of personal finance products like credit cards, personal loans, bank accounts and home loans, as well as various business and corporate finance products. Customers can manage their banking through St.George’s internet banking portal, the mobile banking app or in-branch. Can a pensioner get a credit card? Annual income: Look for a credit card for which you easily fall within the minimum annual income requirements. This can be from the pension, superannuation or any other sources. Annual fees: If high fees are a concern for you, opt for a card with a low or $0 annual fee. You want to make it as easy as possible to fit a credit card into your current lifestyle and spending habits. Interest rate: Make sure you won’t have any nasty surprises on your credit card bill. Choose a card with a low interest rate to minimise risk (to both yourself and the bank – and this will help your application). Looking to get your first credit card? You might be confused as to exactly where to go to apply for one. Here’s where to go when you are ready to put in that application. The bank: Your bank is a great place to start, provided that you have a good banking history. Since you already have a financial history, you have more chance of your application being approved. Credit card provider: Another option is to apply for a credit card directly from the issuer, such as Visa, Mastercard or Amex. This will most likely be an online application, so do your research and apply for a suitable card for your circumstances. Major retailers: Coles, Woolworths, Myer and David Jones all have credit cards available. But watch out for the interest rate and annual fees – these cards are designed to help you spend more in store. Credit cards aren’t something you want to collect unnecessarily. If you’ve paid the balance off or have upgraded to a new credit card, it’s important to cancel your old cards to avoid any additional fees. Unless you’re doing a balance transfer, you’ll need to pay the outstanding balance before you cancel your credit card. If you’ve opted for a card with reward points, make sure you redeem or transfer the points before you close your account. To avoid any bounced payments and save yourself an admin headache, redirect all your direct debits to a new card or account. Once you’ve done all the preparation, call your bank or credit card provider to get the cancellation underway. Once you receive a confirmation letter, destroy your card and make sure the numbers aren’t legible.